This first design is super cute! It’s a sticker that has a positive message using donut as a pun. Instead of it saying: “don’t worry”, it uses “donut worry”. The design would make a adorable gift or use it for party favors. A stack of donuts makes a tower of a design in this next product. An iphone case that is not the usual glitter, but has sprinkles instead. It would be a cute treat to anyone’s birthday gift. Know anyone who loves the combination of coffee and donuts? This mug would be a perfect compliment to that routine. Plus, the donuts are an assortment so there is a rainbow of icing to find your favorite donut. Someone sweet could have a sweet address label! This is a very cute and original design because the donut has a heart! The text is in pink so, this would be excellent for anyone who enjoys pink and pink donuts. A fresh donut is soft as a pillow but have you ever thought a pillow could be a donut? This would be a fun gift for anyone who has a delicious sense of humor. Next is a simple donut cartoon design for a t-shirt. It has a cute smile and would be fun to wear for donut day. Here’s another cute sticker! This one has cute pastel colors and a variety of sprinkles. This button is bright and bold in is colors. The slogan it uses is just as bold in all caps: “I stop for donuts”. Know anyone who would travel for donuts? This could be the button for them. Passport holders usually have travel related themes such as maps or airplanes or maybe in a floral theme. This one is different. 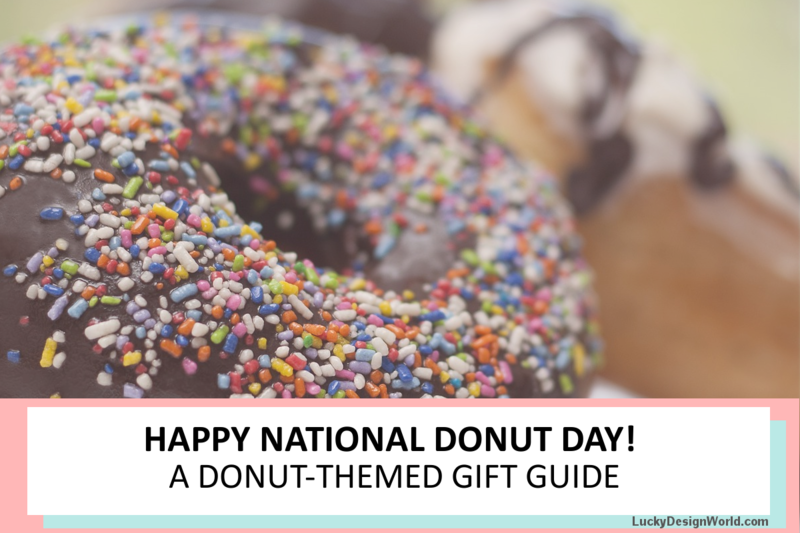 It has a pastel blue pattern with polka dots and there is a giant donut too! Find your passport easily in your bag with this attention-getting design. This next donut design is on a tote! because why not? This next design is a postcard. It has a retro look to it because of that shade of yellow in the background. It does stand out from other designs because of it too. Sending a postcard soon? 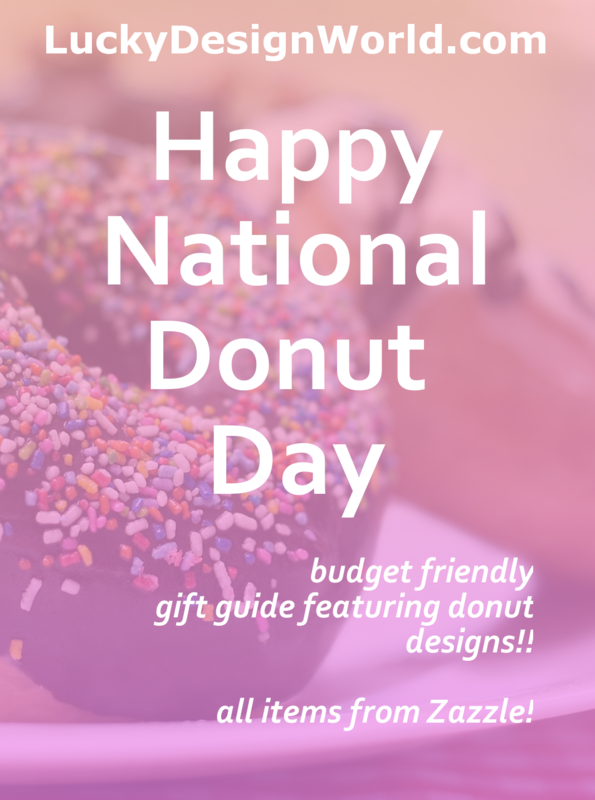 This one could work especially if it’s to celebrate National Donut Day. Last but not least, is a whimiscal sci-fi donut and kitten inspired design! It’s an imaginative design and would be great for cat lovers too. How sweet are these designs?! Do you know anyone who’d like them too?